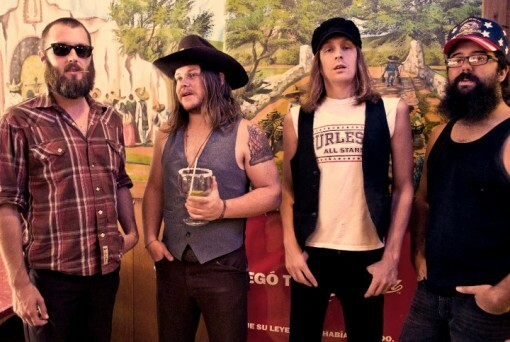 One of our debut artists this year is Ft. Worth honky-tonk rock outfit Quaker City Night Hawks. Generating buzz and acclaim for their latest release Honcho, QCNH is a band to be reckoned with. Elements of Skynyrd can be found, but so can some of Doug Sahm’s charm and Joe Ely’s grit. This band is quitnessentially Texan and we’re proud to have them make their Greenfest debut this year. Performance date/time: Sat July 27 at River Road Icehouse. Approx 5 PM. the Real Mutherfuckin Deal! These boys RAWK. Hey very cool web site!! Man .. Excellent .. Amazing ..I will bookmark your blog and take the feeds additionally?I am glad to search out a lot of helpful info herewithin the publish, we need develop more techniques on this regard, thank you for sharing.. . . . .